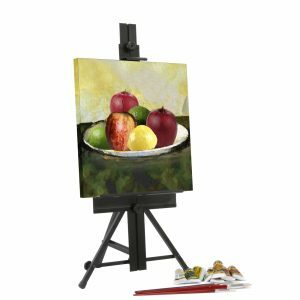 The Deluxe Easel accommodates canvases up to 72" tall and 1.5" thick. 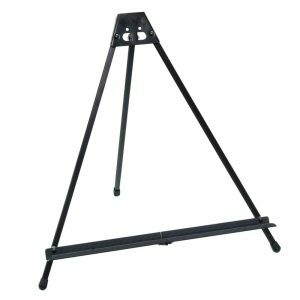 It can be used for practical work purposes or as an attractive display easel. 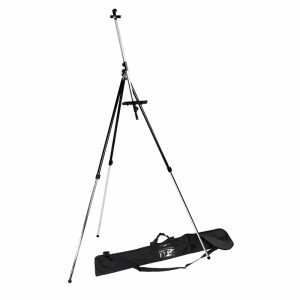 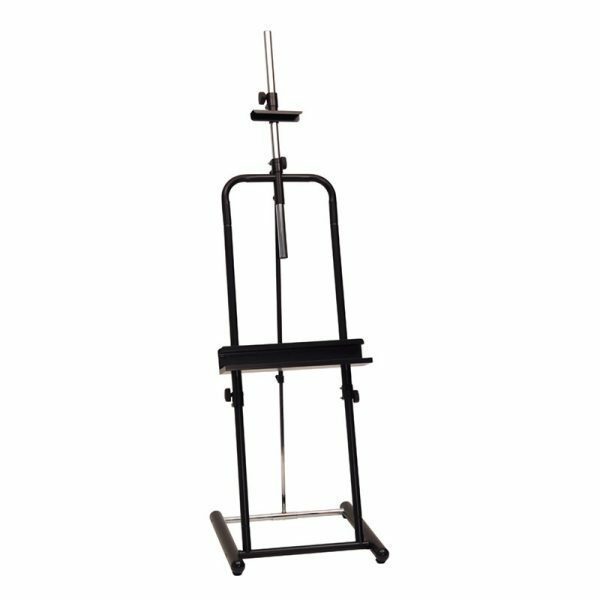 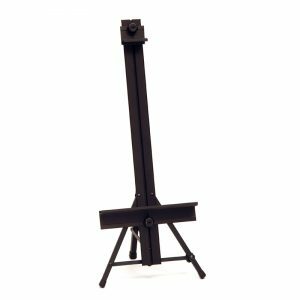 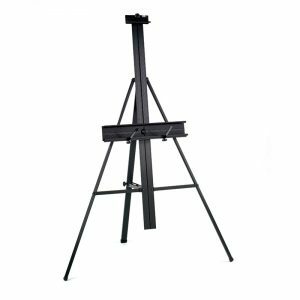 The easel features a telescoping tilt adjustment that allows you to change the angle of the mast to your liking. 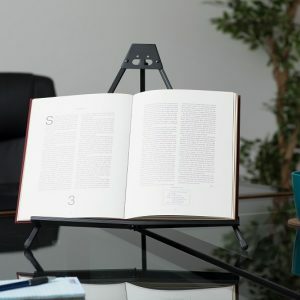 A built-in storage tray is handy for keeping tools within your reach. Includes floor levelers for stability on uneven surfaces.